This week on Doctor Who Time and Space the duo are back with another dose of weekly who themed entertainment. They give their review of the recently animated tale, the Macra Terror and reveal which stories they want to be animated next. Lewis Moon and Dr Cool return for another week of who related chat, this week focusing on the Eccleston era of the show, with their review of Boom Town and their overview of series 1 of the show. The dynamic duo are back once again with a roundup of some of the latest news, opinions and reviews. This week, they offer their thoughts on the Five Doctors and delve into the pros and cons of multi doctor stories as a whole. Lewis Moon and Dr Cool are back for the 300th episode of their long running Doctor Who podcast, this week taking the chance to answer some of your questions in celebration. Plus we've got a review of the Armageddon Factor! ...And so we reach the final curtain. Well, of the 200s. This week on the show we attempt to forget series 11 and move onto the Tennant era, as we give our overview for series 4, as we reach the conclusion of our reviews for that particular season with the Doctors Daughter. Welcome to our first show of 2019 and today it's time for our review of Jodie Whittakers first festive special, Resolution. What will we think of the return of the daleks? And what will be our 2 goods and 2 bads? 2018 has been a year of comic cons, negativity and new eras of Doctor Who for this podcast, and in our final show of this extremely hectic and dramatic year, D-Cool and Lewis Moon reveal their thoughts of the William Hartnell era story, the Arc, as well as offering their opinions on how closely the Hartnell era compares to the Whittaker era of the show. Plus, there's a brief preview for resolution and a look at how the podcast will change during 2019. It's our first post series 11 show, as we give our verdict on the season as a whole, recapping on what we thought of the individual episodes as well as evaluating what works and what didn't. Plus, there's our review of Voyage of the Damned! Merry Christmas! Series 11 is officially over! Lewis Moon and Dr Cool return for their tenth and final review show on the concluding episode of series 11 of Doctor Who, the Battle of Ranksoor Av Kolos! But what will they think of the story? Also they reveal what's to come on the podcast in the coming weeks and a discussion of the latest news! D-Cool and Lewis return for the ninth and penultimate edition of their review series this time focusing on episode 9 of series 11 of Doctor Who, It takes you away. Will they like it or will it be another episode that falls flat in their eyes? Lewis Moon and D-Cool are back for another edition of Doctor Who time and space, this week giving their verdicts on episode eight of series 11, the Witchfinders. Also, there's a brief preview for It Takes you away, ratings and rumours and a summary of our thoughts of series 11 so far. The duo are back once again for their sixth week of series 11 review shows as D-Cool and Lewis unveil their opinions on this weeks story, Demons of the Punjab. But what did they think? Also there's a brief preview of episode seven, Kerblam and a lowdown of the stats for this weeks episode. The duo return once again for another week of Doctor Who reviews, this week revealing their thoughts on the fifth episode of series 11, the Tsuranga Conundrum. But will the pair think it is any good and more importantly, will D-Cool be able to pronounce the title of the story? Also, there's a preview for the sixth episode of series 11, Demons of the Punjab and there's a discussion of the latest news from the last seven days in the doctor who universe. It's time for the fourth edition of our series 11 review shows as Lewis Moon and D-Cool return to rattle off their thoughts of the fourth episode of series 11, Arachnids in the UK. But will they think it is any good? Plus, there's a brief preview for episode five, the Tsuranga Conundrum, and a look at how the story did on the ratings front this week. It's a bit of a different show this week as Lewis Moon flies solo for week three of the series 11 review shows as D-Cool is unavailable, however is still here to give you an array of opinions from across the universe, this week focusing on the third episode of series 11 and the first historical for the season, Rosa. Plus, there's a preview for episode four, Arachnids in the UK and a discussion of the latest news from the last seven days in the doctor who universe. The duo are back once again for week two of the series 11 reviews and this week it's the Ghost Monument! What will they think of the second story of the season? Will it be better or worse than episode one? And what did they think of the brand new TARDIS interior and title sequence? It's time to find out...Plus there's a preview for episode 3 of series 11, Rosa and a discussion of the latest news and views from the last seven days in the doctor who universe! Doctor who is back-and it's about time! Lewis Moon and D-Cool host the first review show for Doctor Who series 11 this time focusing on Jodie Whittaker's season intro, the Woman who fell to Earth, however there's one twist: they don't know what the other thinks! Together they dwell on how well Jodie and Chris achieved the first episode of their bright, bold, fresh new era of the show! Plus, there's a preview for episode two of the brand new season, the Ghost Monument and a discussion of the latest news and views from the last seven days in the doctor who universe! All on the first Wednesday show of Doctor Who time and space! This week on Doctor Who Time and Space it's finally time for series 11, as on the final show before the new season, D-Cool and Lewis Moon preview the woman who fell to Earth with a guide to the episode as well as their feelings on the story so far. Plus, there's a debate of the best reinventions of Doctor Who, a review of Sylvester Mccoy's debut time and the rani and a discussion of the latest news and views from the last seven days in the doctor who universe. The new season of Doctor Who is now only a week away and that means that it's time for Lewis Moon and D-Cool to unite once again for another episode of Doctor Who time and space. This week they debate 5 things they are looking forward to and 5 things they aren't so much about series 11, review the Tennant two parter silence in the Library and the forest of the dead and press the randomizer to determine the final story they shall be reviewing prior to series 11. Plus there's the latest news and views from the last seven days in the doctor who universe. The excitement is ramping up for series 11 of the show as we are two and a half weeks away from when it begins, but Lewis and D-Cool are here once again with your who fix for this week! On this week's show they debate what they would do if they were in charge of a revitalisation of the show as well as a review of the season 7 finale the name of the doctor! Plus there's the latest news and views from the last seven days in the doctor who universe! Lewis and D-Cool return for another edition of doctor who time and space as the countdown to the brand new series and era of doctor who commences, with a guide to everything we know about the series so far alongside opinions about it, a review of the third trial of a time lord story terror of the vervoids and we discuss the latest news and views from the last seven days in the doctor who universe. Lewis Moon and D-Cool return for another edition of Doctor Who Time And Space as they have a very exciting update for series 11 to discuss alongside some news for what's coming up in the near future on the show. In the core part of the podcast the duo review the Peter Capaldi story Robot of Sherwood and debate which six stories would place in their final worst possible series for the Steven Moffat era of the show. Plus there's the latest news from the last seven days in the doctor who universe. D-Cool is back after two shows of absence and joins Lewis Moon for another terrific show of doctor who time and space! As well as discussing a controversial week for doctor who gossip and fandom, they reveal their bottom 6 picks from the RTD era of the show, review the second story of the trial of a time lord season Mindwarp and discuss the latest news from the last seven days in the doctor who universe. It's time for a second and final solo episode of doctor who time and space as D-Cool just misses the chance to be on the show! However, Lewis Moon is here with the usual array of features, news and reviews, this time ranking every series from new who and classic who from best to worst before crowning an overall winner, reviewing the second part of the sontarans return two parter the Poison Sky and discussing the latest news from the last seven days in the doctor who universe. Lewis Moon has gone solo for this week's edition of doctor who time and space as D-Cool takes two shows off due to his holiday, leaving Lewis to reveal his bottom 6 stories from the 1980s of the show, review of the first part of the Tennant two parter the Sontaran Strategem and also host two new features: Quickfire Question and the Doctor Who Connection! Plus he discusses the latest news from the last seven days in the doctor who universe. Lewis and D-Cool return for another edition of their weekly doctor who podcast as they host an exclusive report from London Film and Comic Con 2018, an event that broke who records and allowed many whovians (Including us) to meet many of our heroes! Also there's a review of the Christopher Ecclestone two part finale Bad Wolf and Parting of the Ways and we discuss the latest news and views from the last seven days in the doctor who universe. It's time for another episode of doctor who time and space, mostly with D-Cool and partly without! You'll find out about that watching the episode! The duo break down the latest trailer for series 11 released at SDCC, discuss the other details and teaser revealed in the past week, review the Matt Smith story Closing Time, press the randomizer and discuss the latest news from the last seven days in the doctor who universe. A lot to fit into 55 minutes, eh? It's time for a very special edition of doctor who time and space as we host a special doctor who themed world cup, as each doctor is pitted off against each other in the group stages, before the semi finals and a final, before the winning doctor is determined. A word of warning: Expect the unexpected. Enjoy! Lewis Moon has gone solo for this week's edition of doctor who time and space as he takes another delve into the goings on of the whoniverse while D-Cool takes a weeks break from the show. D-Cool is here for a pre-recorded feature, however as the duo participate in the final best possible series, this time on Matt Smith's eleventh doctor. Also, Lewis reviews the acclaimed tenth doctor story and global phenomenon Blink and discusses the latest news from the last seven days in the doctor who universe. D-Cool and Lewis Moon are back for another episode of doctor who time and space as they take a look at the goings on in the whoniverse over another week. This week their discussions include the best possible series for the eleventh doctor Matt Smith, review the Christopher Eccleston story the Unquiet dead and discuss the latest news from the last seven days in the doctor who universe. 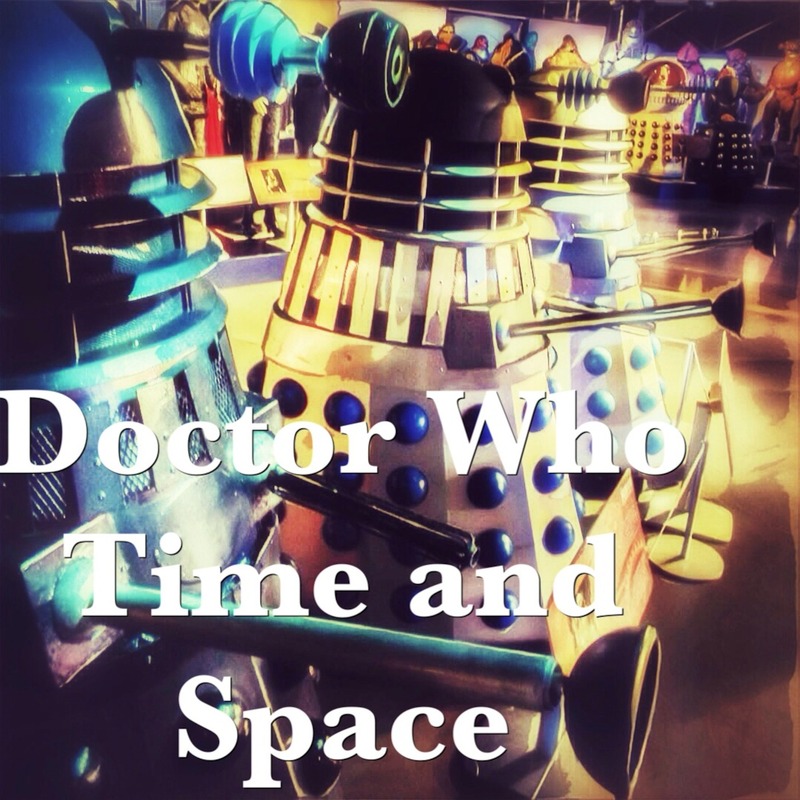 D-Cool and Lewis Moon are back for another episode of doctor who time and space as they are here for a slightly shorter and slightly less professional episode however there is still a lot to love! This week they discuss the best and worst works from Toby Whitehouse in the doctor who canon, review the tenth doctor story the fires of Pompeii and discuss the latest news and views from the last seven days in the doctor who universe. Doctor who time and space is back for another edition of the weekly father and son podcast as the duo take a delve into the whoniverse once again. This week they are discussing the best possible series to feature Sylvester Mccoy, aka the seventh doctor, their review of the ninth doctor story fathers day and a discussion of the latest news and views from the last seven days in the doctor who universe.